Lynette is founding Director of Tempo Strategies, a national consultancy in organisational and executive development. She has consulted with CEOs, boards and executives of more than 200 Australian organisations. She has also consulted to the Anglican Bishops conference and to many not-for-profits and church organisations. Lynette attends church in Canberra. She is a Life Fellow of the Australian Institute of Company Directors. Formerly a counsellor in residential rehabilitation and lecturer in tertiary education, Lynette is committed to social justice and supporting vulnerable people. Greg is a management consultant and joint founder of Ascent Consulting, a business and technology consulting firm based in Canberra. Greg has managed major change programs driven by Government policies, business change requirements, technology innovations, and changes in service delivery models. 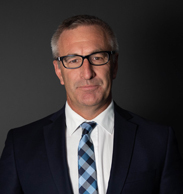 Greg brings to such programs extensive experience in portfolio, program and project management, executive leadership, and development of collaborative teams. Greg is a parishioner of St Paul’s Manuka and an active lay member of the church. He currently chairs the Burgmann College (ANU) Board and Council. He is also a diocesan member of the Clergy Appointments Board and recently chaired the Episcopal Election Review Committee of the Diocese. Dr Bill Anscombe is an Adjunct Associate Professor in Social Work and Human Services at Charles Sturt University in Wagga Wagga. Bill has twenty years’ experience in community corrections within the NSW Department of Corrective Services. 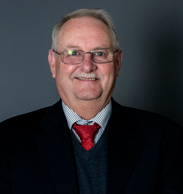 He was selected for the Department’s Senior Executive Development Program and joined Charles Sturt University in 1993. For several years, he operated in a joint appointment between the University and the NSW Department of Human Services and subsequently was Director of Child and Family Services (Western NSW) for that Department. In 2004 he was a member of a National Government Review Team. He has wide ranging research interests including research in rural and remote Australia and has been a Chief Investigator (CI) in an Australian Research Council Discovery Grant. Bill is also Chair and President of St Martin’s College. He worships at South Wagga Wagga Anglican Church. Jocelyn is Chief of Executive Corporate Services for the Housing Industry Association (HIA). 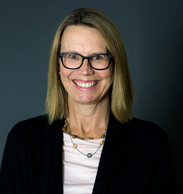 She was previously Principal and Academic Dean of the Australian International Hotel School, Business Manager of Radford College in Canberra and Secretary to the Board of Anglican Independent Schools. 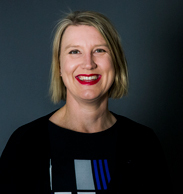 Jocelyn has a Bachelor of Commerce from the University of New South Wales (UNSW), a Masters in Business Management/Accounting from the University of Canberra (UC) and a Graduate Diploma in Corporate Governance. Margaret is an Honorary Canon of St Saviour’s Cathedral, Goulburn. She was previously Rector of the Holy Covenant Parish in Jamison, ACT and the Rector of the Parish in Crookwell, NSW. Prior to these appointments, she was in ministry at St John’s in Reid, ACT from 2008 to 2013 as Deacon and then as Associate Priest. She is currently Family Minister at St John’s Anglican Church. Margaret also has a passion for youth ministry. Sandy’s working career has involved providing financial statement assurance and advisory services to Australian and international clients. Throughout her 20 years experience she has developed a deep knowledge of the non-for-profit sector, particularly with religious organisations in NSW and the ACT. 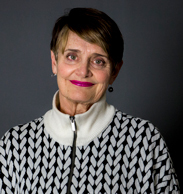 She has most recently provided financial statement audit services to Reconciliation Australia, Canberra Girls Grammar School, (The Roman Catholic) Archdiocese of Canberra & Goulburn and the Catholic Development Fund (Archdiocese of Canberra & Goulburn). 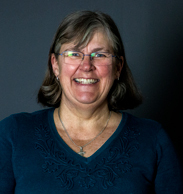 Sandy is currently Canberra Area Committee Member for CMS (Church Mission Society), Board Member at Forrest Primary School and Honorary Financial Statement Auditor of Friends of Brain Injured Children. Sandy and her family currently attend Stromlo Christian Church. Jeremy has nearly two decades of management experience in the not-for-profit sector. 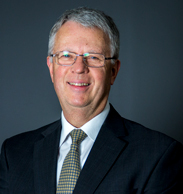 He has been CEO since 2013, revitalising Anglicare’s core purpose of alleviating poverty in partnership with the Anglican Church and successfully implementing a three year strategy to improve program outcomes, financial performance and staff engagement. Previously as Anglicare’s Director of Communications & Partnerships, he successfully built Anglicare’s fundraising resources and improved Anglicare’s advocacy profile through a research-based strategy. 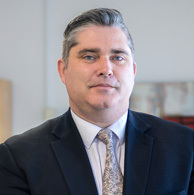 He is also a leader is the wider community sector, currently serving as Co-Chair of the Canberra Gambling Reform Alliance (CGRA) and Deputy Chair of Anglicare Australia. He was also a director of national sector peak body, the Australian Council of Social Services (ACOSS) from 2013-2018, including terms as Treasurer and Deputy President. Jeremy’s research interests are diverse. He has authored essays, papers and research reports on a range of social justice issues. In an earlier career, he was a journalist and managing editor of a newspaper. 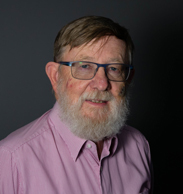 David has extensive experience serving on the Board of Anglicare Sydney (from 2009 – July 2016), and experience as Chair of the Mamre Anglican School Council in Sydney, and member of the Sydney Local Health District Ethics Review Committee. David started his career as a social worker in local governments in Sydney, he went on to teach a range of welfare programs at TAFE before moving to the NSW Department of Education and Training where he worked on VET policy. He brings a range of skills in the social work and education sector to support the work of the Anglicare Board. Michael is a Magistrate with the Local Court of NSW. He brings considerable legal skills and a strong understanding of legal issues affecting children and young people and is an accredited specialist in Children’s Law. He has governance experience, previously employed as General Counsel for the University of Western Sydney. He is currently a member of the St John’s Care Committee, bringing an understanding of the work that Anglicare does with its parish partners.